Today’s conventional continuous-flow dipper wells use over 250,000 gallons of water every year. This comes with a hefty price tag, not to mention some safety and sanitation concerns. But with more innovative equipment, your utensil holder can save your foodservice operation thousands of dollars. 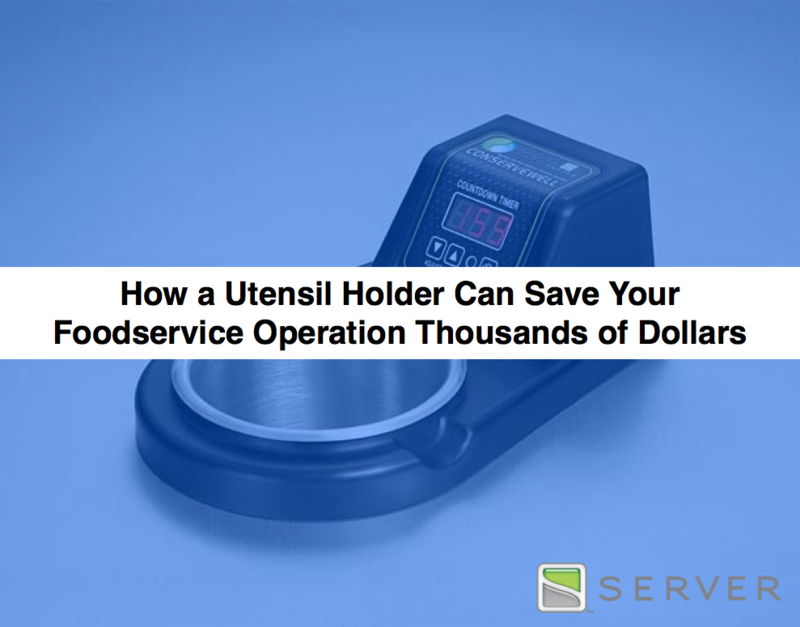 Server ConserveWell™ utensil holders only use 600 gallons/year because they hold service utensils above 140º F to prevent bacteria growth; without perpetually flowing water going right down the drain. They are an environmentally friendly method for rinsing and protecting serving utensils against bacteria growth while saving water, energy and money. Water savings for a 60 GPH dipper well for a restaurant open 16 hours per day is close to 350,000 gallons per year. That could equate to approximately $2800 savings in water/sewer costs. Since the water is being held at a temperature that inhibits the growth of bacteria, ConserveWell can assist with food safety concerns. ConserveWell is not a dipper well. It's a heated utensil holder that does much more than hold an ice cream scooper. A major restaurant chain with nearly 3,500 locations started using ConserveWell from Server Products. They did their own calculations and were amazed to realize their savings. With each restaurant using three to five of the ConserveWell dipper wells, the chain could save more than 3.5 billion gallons of water each year, which equates to $31.5 million dollars in savings. One of their largest franchisees saw these numbers and placed an immediate order for 39 drop-in ConserveWells. Are you ready to learn more?